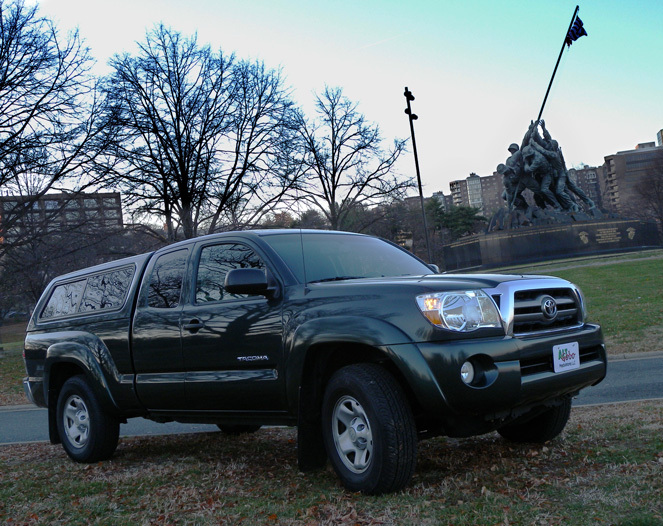 A 2009 Toyota Tacoma is the latest addition to the Alt Gobo fleet. This vehicle replaces the 1994 Toyota 4runner that has faithfully served production needs for more than 15 years. The new truck has a larger cargo capacity. Other features are a larger engine and better fuel economy. Four wheel drive still remains a key capability that ensures crews can get to location in nearly any weather condition (traffic permitting).